Combative, fiery, controversial and competitive. 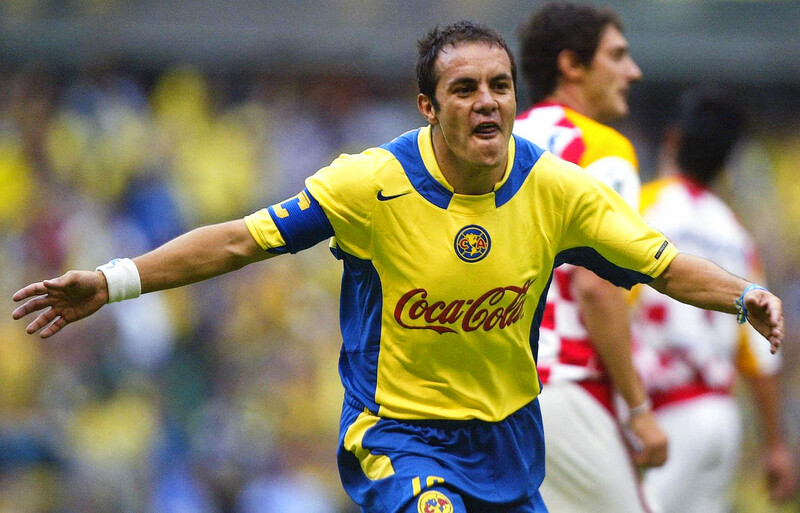 These are just some adjectives used by former teammates to describe Cuauhtémoc Blanco, one of Mexican football’s most loved and colourful characters. The height of his footballing powers coincided with the boom of the telenovela, a phenomenon which played a huge role in shaping Mexican national identity, touching on subject matters like love, family and politics. The story of Blanco’s life reads like a script straight from a telenovela, with themes such as poverty, the ups and downs associated with professional sports, violence, politics and corruption. 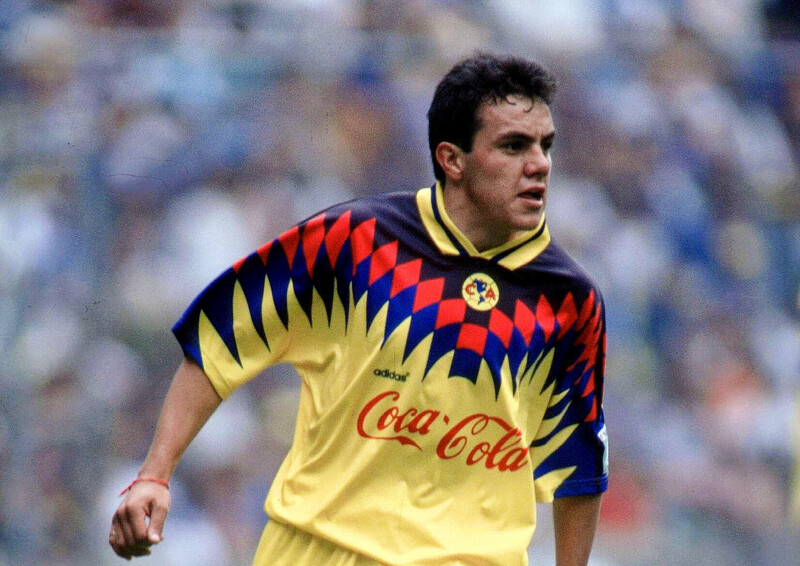 Cuauhtémoc Blanco Bravo was born in January 1973 just outside Mexico City, one of the largest cities in the world, and the former site of Tenochtitlan, the capital of the Aztec Empire. Interestingly, Blanco’s full name encapsulates modern-day Mexico by marrying the indigenous past with the European colonisation. Blanco’s surname, literally meaning ‘white’ in Spanish, is thought to originate in the Iberian Peninsula. His first name is a homage to the last Aztec emperor, who was eventually executed at the hands of the conquistador Hernán Cortés. The name Cuauhtémoc is supposed to signify a descending eagle, aggressive and determined; traits the footballer would display throughout his career and life. At an early age, Blanco moved to the poor, populous and often violent neighbourhood of Tepito, ironically in the Cuauhtémoc borough of Mexico City. After rising swiftly through the youth ranks at Club América, the most successful side in the history of Mexican football, Blanco made his professional football debut aged 19. As with most young players finding their way in the game, opportunities were limited in his first two years at the Estadio Azteca, although in the subsequent three years, Blanco made almost a hundred appearances in the league. 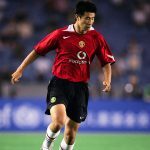 Unfortunately, his rise in the first team coincided with a fallow period in the club’s illustrious history as they underwent a drought of 13 years without a national title between 1989 and 2002. Blanco was loaned out to Necaxa for the 1997/98 season. The team from Aguascalientes had a poor first half to the season in the winter championship but rallied in the second half of the campaign, finishing runners-up in the summer championship as Blanco bagged 13 league goals in 28 games. Upon the expiration of his loan spell, Blanco returned to the Azteca and took his goal-scoring form with him, scoring 51 league goals in the following two seasons. Despite this rich vein of personal form, América couldn’t lift the title, and in the summer championship of 2000, the club even failed to make the playoffs. Aged 27 and nearing his physical peak, Blanco made the transatlantic trip to Spain, joining Real Valladolid of LaLiga on loan in the summer of 2000. The move proved disastrous for Blanco, and the situation wasn’t helped when he broke a leg in a World Cup qualifier against Trinidad & Tobago. A shocking, studs-up tackle by Ansil Elcock left the Mexican with damaged ligaments in his right knee, and Blanco later claimed this injury hampered a mooted move to Real Madrid. As a result of this setback, Blanco only managed a handful of appearances during his first season in Spain. The second season was a little more successful on a personal level, as he made 20 appearances. However, forwards are judged on their goal output and, with only three, Blanco’s return wasn’t good enough. Perhaps the highlight of his time in Spain came, ironically, in the Santiago Bernabéu against Real Madrid in September 2001. Madrid thrashed Espanyol 5-1 the week before in the same venue but Valladolid proved to be a sterner test. With time ebbing away and Valladolid trailing 2-1, Blanco stepped up to take a free-kick from more than 20 yards out. 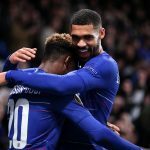 The set-piece was ferociously driven past a poorly constructed wall and a young Iker Casillas to give the visitors an unlikely point and Blanco his moment in the sun. Blanco returned to his spiritual home of the Azteca in time for the 2002/03 season and his next spell at the club would prove more fruitful than the first. He’d spend the next five seasons with América, barring a loan spell with Veracruz, and finally got his hands on a championship medal. In the 2005 Clausura, América would win their 10th title after beating Tecos 7-4 in the final over two legs. In 2006, the trophy cabinet was augmented with success in the CONCACAF Champions Cup, as fellow Mexican side Toluca 2-1 were overcome on aggregate. On an individual level Blanco prospered, claiming three consecutive domestic MVP awards. Having tasted individual and team success over recent years, and aged 34, Blanco decided it was time to try his hand abroad once again, this time moving to Chicago Fire of Major League Soccer in 2007. Blanco was one of six Designated Players in MLS, meaning that Chicago Fire could break their salary cap to make him the big star on their roster. David Beckham also joined MLS that summer, becoming the Designated Player for LA Galaxy. Fire managed to reach the playoff semi-finals in all three of Blanco’s seasons stateside and he was nominated for several individual awards during his time there. Following his American sojourn, Blanco returned to Mexico in 2009 and would spend the remaining few years of his career as a relative journeyman, turning out for five more teams and dropping down the divisions on several occasions. In 2011, Irapuato, who Blanco was representing, won the second tier Clausura championship before losing in the promotion final to Tijuana. The following year, while turning out for Dorados, Blanco lifted the Copa MX after converting the first spot-kick in a successful penalty shoot-out. In 2015, aged 42, the timeless Blanco won his second Copa MX medal after coming off the bench for Puebla in a final they won 4-2. Throughout his career, one of Blanco’s biggest honours was representing Mexico’s national team. “For me, to represent my country is a source of pride,” he once said. “And when they play the national anthem, my heart bursts out, I want to cry.” During the course of his international career, Blanco scored 39 goals in 120 appearances, appearing at three World Cups, including South Africa 2010 when he was 37-years-old. Blanco debuted for El Tri in 1996 in the run-up to the successful Gold Cup campaign of that year. He started all four of Mexico’s games at the 1998 World Cup in France before they crashed out to Germany in the round of 16, scoring against Belgium. It was during this tournament that the Cuauhtemiña was unveiled to the world in the match versus South Korea. To perform this trick, which became his trademark, Blanco would trap the ball between his feet and jump in the air to evade tackles, emerging into space and leaving two bemused defenders in his wake. 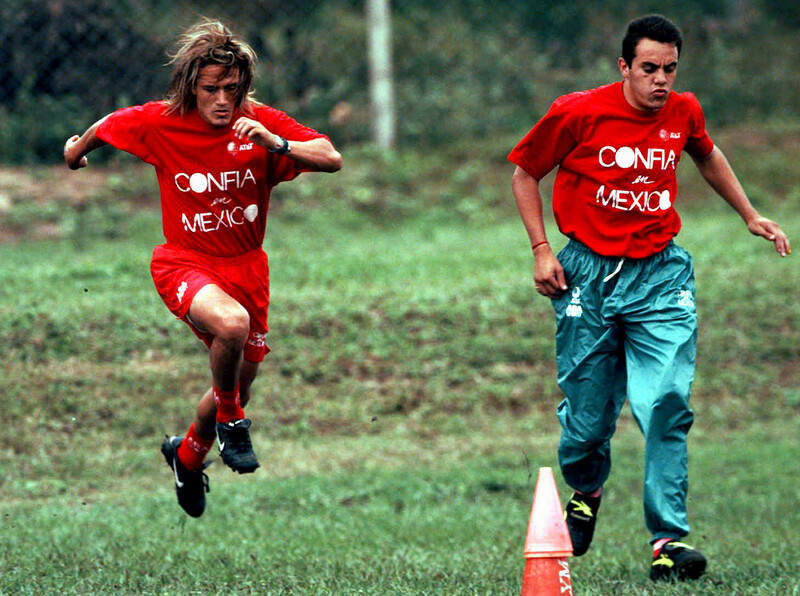 Mexico hosted the Confederations Cup in 1999 and the tournament would prove to be a success for El Tri and Blanco. He scored a hat-trick against Saudi Arabia in the group stage, an extra-time winner against arch-rivals the United States in the semi-finals, and what would prove to be the winner in a thrilling 4-3 victory over Brazil in the final. Blanco was the joint-top scorer in the tournament and received the Silver Ball after being voted the second-best player behind Ronaldinho. In the first phase of the 2002 World Cup, Mexico topped the group, finishing above Italy who qualified in second place. Blanco converted a penalty, and what would prove to be the winner, in the opening game against Croatia, and started all three games of the group stage. The journey was to end soon after as, once again, Mexico exited at the second round stage, losing 2-0 to the United States in Jeonju. Controversially Blanco was omitted from the squad for the 2006 World Cup after falling out with manager Ricardo La Volpe. The chain-smoking Argentine was no shrinking violet either, therefore it’s no surprise that the two clashed. La Volpe was described by many in the Mexico camp as a good coach, but one with a difficult personality. Once again, Mexico were eliminated in their cursed second round, losing out to La Volpe’s compatriots, Argentina, thanks to a superb and memorable volley from Maxi Rodríguez. Hindsight is a wonderful thing and one can only wonder whether Blanco could have made the difference in that tight game, but a coach has to trust his players. If the relationship wasn’t there between the two, it’s understandable that Blanco was left at home. The two would continue their tiff after La Volpe, who briefly managed América in 1996, returned to Mexican football with Atlas. Naturally, Blanco was on the scoresheet when Atlas visited the Azteca during one particular game, and took great delight in celebrating his feat in front of the visiting coach. After converting his goal, Blanco ran to the halfway line before sliding in front of La Volpe, adopting a relaxed pose. La Volpe had allegedly previously accused Blanco of having a poor work ethic and spending too much time by the pool, a jibe Blanco responded to by admitting that he is actually unable to swim. In September 2008, Blanco appeared against Canada for what would be his centenary cap for El Tri, only to retire immediately afterwards. However, just like his club career, he would reverse his decision to quit and made his comeback the following May in the build-up to the 2010 World Cup. When Mexico arrived in South Africa for the tournament, Blanco was 37-years-old and making his third appearance in a World Cup. 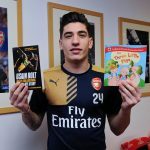 Unsurprisingly, given his age, he was a bit-part player in the group stage, starting one game and coming off the bench in the other two. He scored another World Cup penalty, this time in a 2-0 victory against France, as Mexico qualified from the group in second place. You don’t have to be a genius to decipher what happened next. Mexico were once again eliminated in the last 16, again by Argentina. Blanco was not selected for the game and that was to be the end of his World Cup journey. In March 2016, Blanco officially ended his professional playing career, returning to the club of his heart for one final swansong. Aged 43 and wearing the number 100 on the back of his jersey to celebrate América’s centenary, Blanco played 36 minutes of a routine 4-1 win at home to Morelia. Proving there was still life left in his legs, he even managed to rattle the crossbar as well as performing his trademark move, the Cuauhtemiña, one last time. Two months before Blanco said goodbye to the career which had consumed his adult life, he began a new one. On New Year’s Day 2016, Blanco assumed the office of Mayor of Cuernevaca, under the banner of the Social Democratic Party (PSD). Being the mayor in the largest city of Morelos state, ravaged by drug-related violence, is not without its problems and Blanco’s ride has been less than smooth. In December 2016, less than a year into his mandate, Blanco began a hunger strike to protest against allegations made against him. His attendance at City Hall meetings was questioned, as well as his ability to suitably carry out the role as mayor. He was criticised for not being a local resident, a common problem in personality politics, and of accepting illegal donations. The hunger strike ended after just two days when the accusations against him were dismissed. 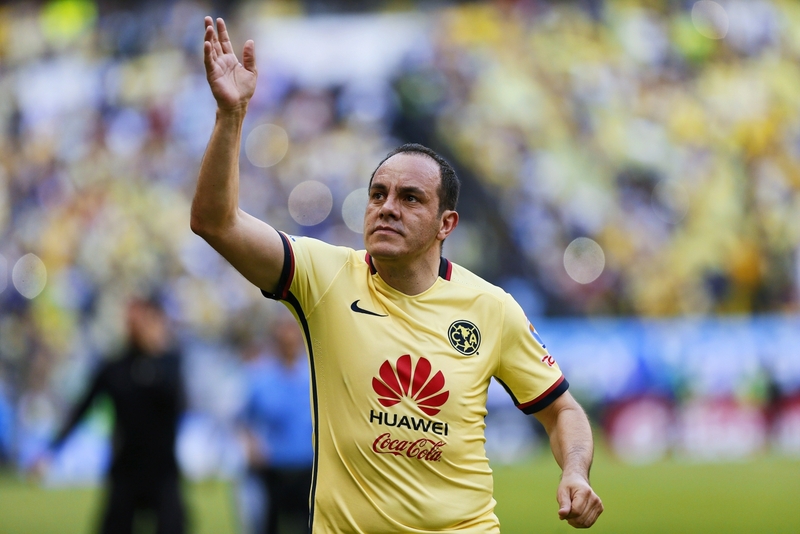 It’s safe to say that Cuauhtémoc Blanco is a legend in the eyes of América fans, and those of the national team. His character and talent endeared him to lovers of the beautiful game both at home and abroad. His brave choice to enter the political world in a country as seemingly ungovernable as Mexico, ravaged as it is by drug-related violence, will not come as a surprise to those that know him or have followed his career. His name links him indelibly to Mexico’s indigenous past as well as the modern day European nature of the country. Blanco’s life story is far from flawless and reads like a story from one of Mexico’s famed telenovelas: a poor boy who became a national sporting superstar before later turning to politics. Both on and off the pitch he has always done things his own way and that clearly isn’t going to change now that he’s swapped the green grass for City Hall.